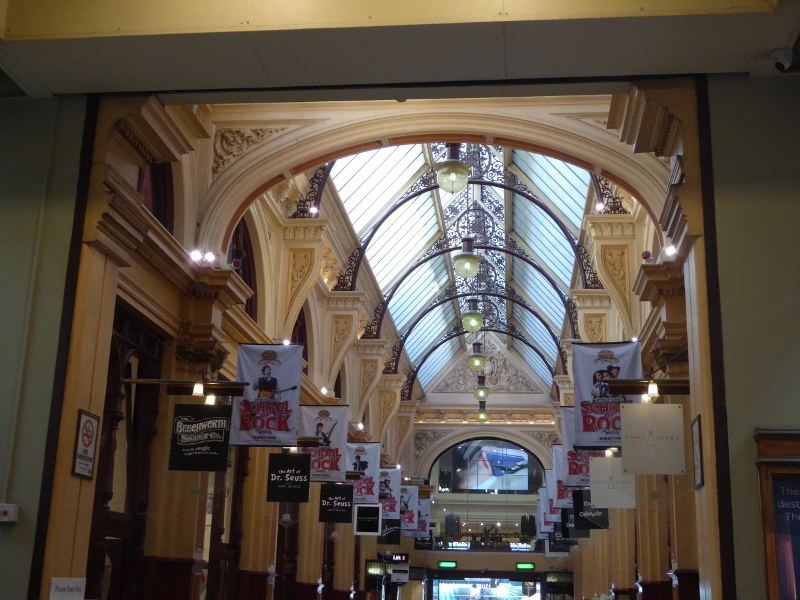 Melbourne’s Block Arcade, where class has been on display since 1892, in all senses of the word. The tea rooms, a bugler and a dose of Dr Seuss are my favourite bits. 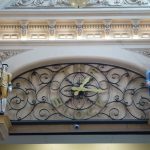 The Block Arcade has more of an upmarket feel than its near neighbour the Royal Arcade, though I almost prefer the Royal for its quirky shops and wonderful clock. 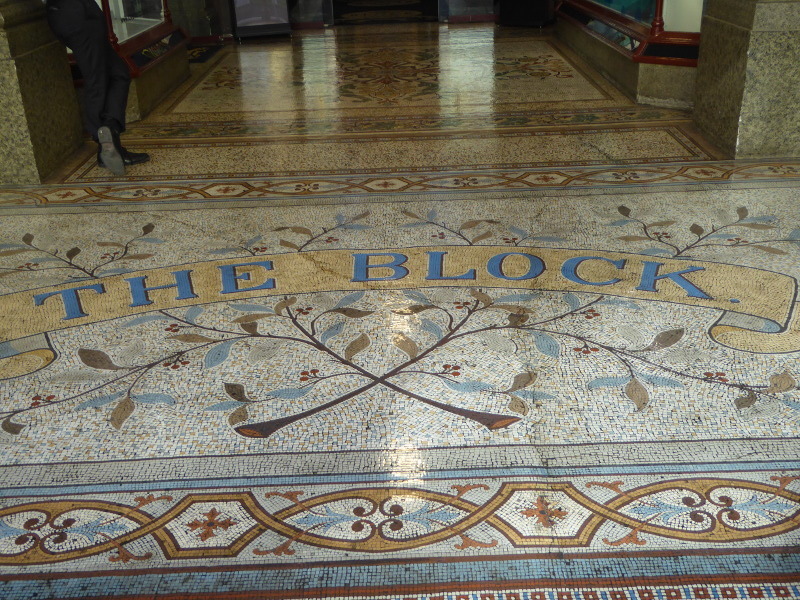 Everything about the Block oozes class, from the entrance signage to the tiling on the floor, which is just magnificent. 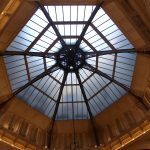 It was fascinating, therefore, to see how ‘class’ has had a bearing on its past, and with ‘class’ sometimes comes a bit of snobbiness, judging by some of the stories I found in my search for social history of the arcade (see below). 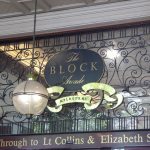 The only shop I’ve ever actually used in the Block Arcade is the tea room. Hopetoun Tea Rooms have been going virtually since the year the arcade was built (though I’d love to know more about the actual origins of the tea room as the press clippings I found from 1894 – two years after the opening of the arcade – seemed to suggest they had only just opened that year – in any case, they have been in the Block Arcade for a long time). The tea rooms are fantastic to this day, and we joined the lengthy queue outside them on my birthday back in August. It’s not a bad spot to stand and wait, though. 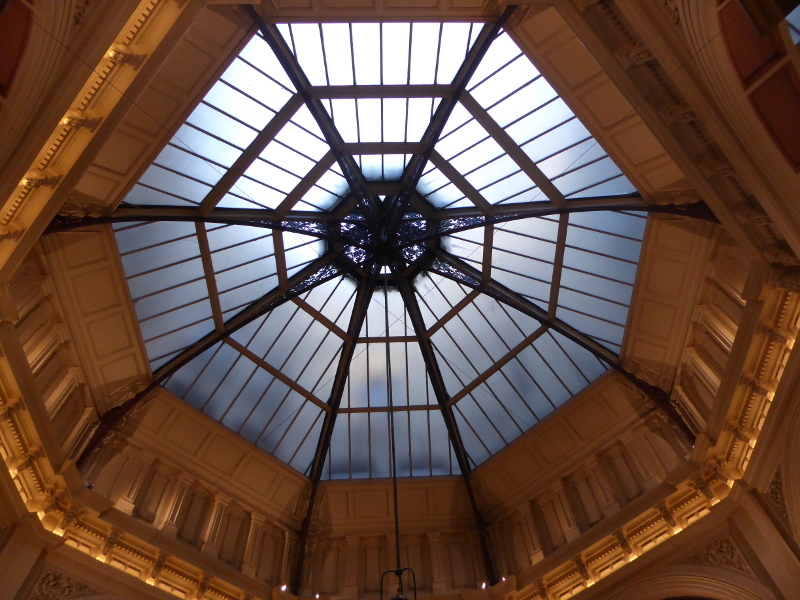 You can admire the wonderful design of the arcade, look longingly at the cakes you are about to eat, which are on display in the window, and if you are lucky – as we were that Sunday – get the occasional busking opera singer up in the central part of the arcade. Wow, the acoustics are great with those high, vaulted ceilings. Many of the other shops are a tad too high end for me, but Haighs Chocolates are always nice and both the Beechworth Sweet Co and the Beechworth Honey shop looked lovely. For quirkiness, top prize in the Block Arcade surely has to go to the Art of Dr Seuss, with yes lots of artwork to the theme of Dr Seuss characters. You know, the Cat in the Hat and the like. Looks excellent. 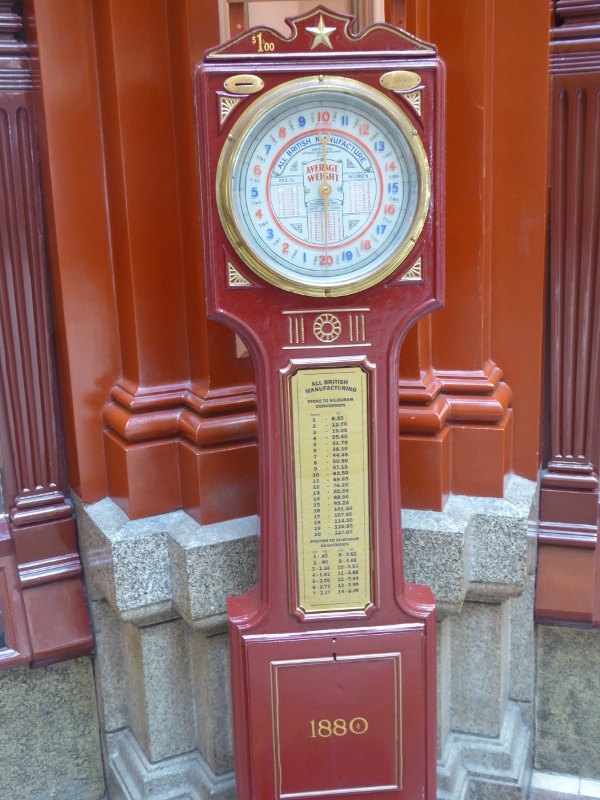 I rather liked the 1880 weighing scales, too. 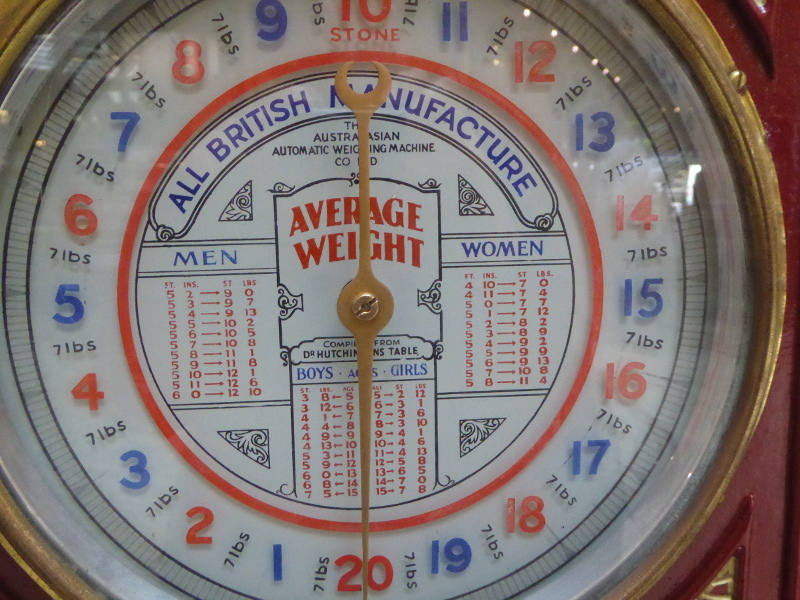 There’s a potted history of this type of weighing scale, nearly all of which in England were melted down to make armaments in the First World War. 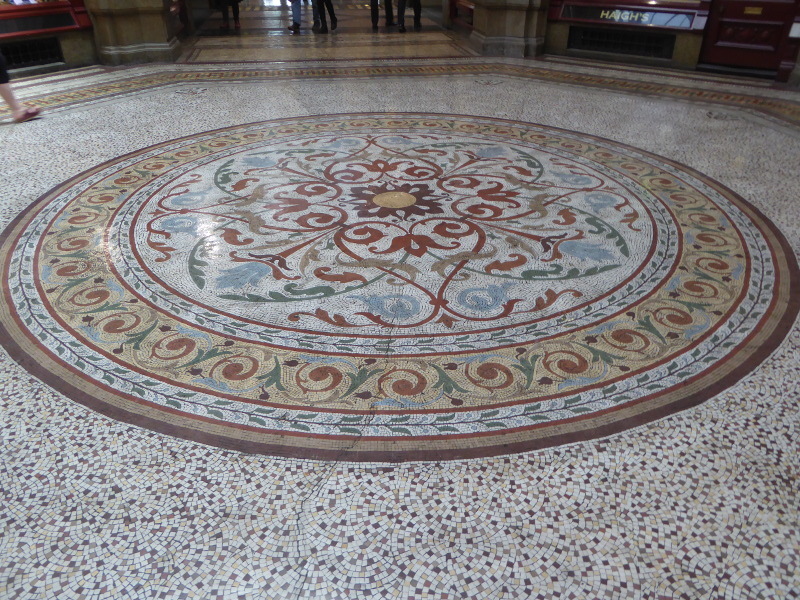 But this set, which had been initially installed in Sydney’s Central Station, survived the cull and now stands proudly in a corner of the Block Arcade. I love the helpful ‘average weight’ chart for men, women and children, so you can cross-check your height and ‘average’ weight. 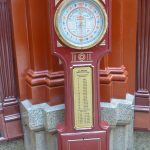 I bet that’s changed a bit since these scales were made. 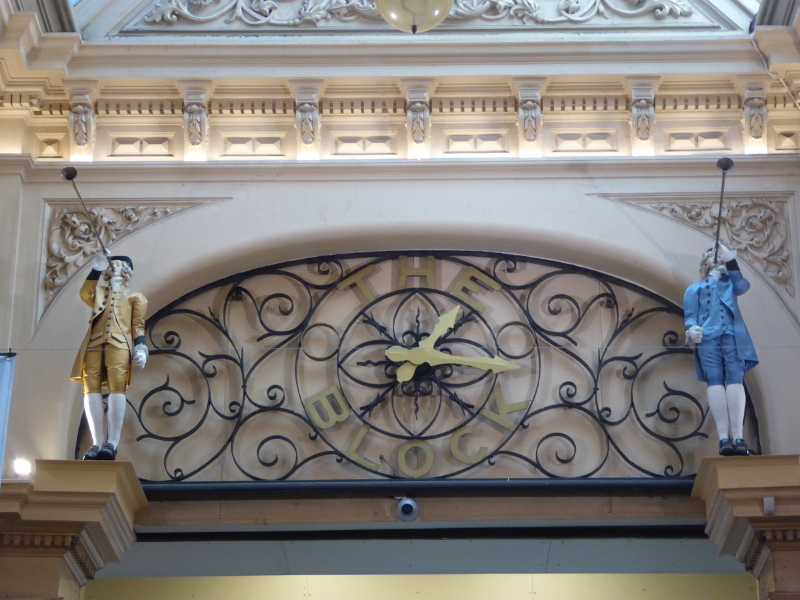 The clock up above one of the arches lacks Gog & Magog’s imposing presence in the Royal, but the buglers are a nice touch and just add to the overall feel of elegance in the Block Arcade. And of course, running off the arcade are some of Melbourne’s popular laneways where you can sit and have lunch or just wander to while away the time. Don’t miss Block Court, too, mind. It’s a separate arcade opened in 1930, with some interesting design features of its own, so I may well post a separate entry for that one. 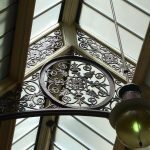 Like the Royal Arcade, The Block Arcade has its own rather good website, with not only current retailers listed but also a good history section. Like with the Royal, though, there are no public toilets in the Block. There are Block Arcades in several Australian towns. It’s not a name I was familiar with back in the UK, but it apparently comes from a term used in much of the English-speaking world, taking a walk ‘around the block’. 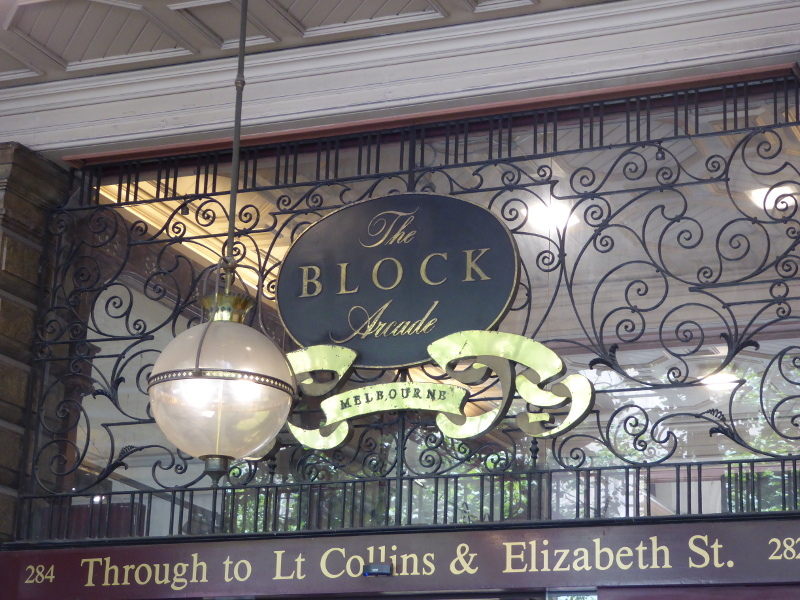 So the Block Arcade was so named to encourage elegant folk to go for a promenade around the ‘block’. Thanks to an article in The Age of 16 October 1954 (found on Trove, of course), I learned of the enormous fire in 1889 which burnt down a five storey drapery called George & George. 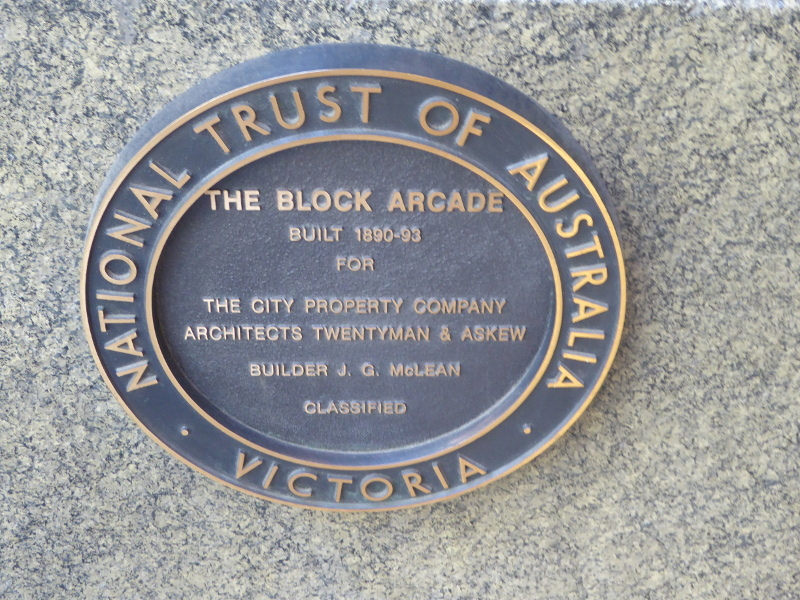 The Block Arcade was built on the ruins and opened in 1892. There were several fires over the years, many of which made the news, including one of three girls having to escape down ladders outside the building after rushing through the smoke. But my favourite dates from 1902 as some of the details reflect the era so well: smoke was noticed by a cab driver outside. Of course ‘cab’ in those days was horse-drawn and he used his whip to break the glass on the fire alarm. When the fire engine came, it was powered by steam! The good news was that the building was solidly constructed and the fire didn’t spread much so there was not much damage. 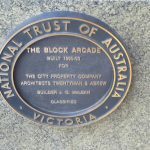 Dame Nellie Melba sang in the Block Arcade as part of the war effort to raise funds for the war, as well as offering possessions like a silver cigarette case for auction in 1915 in the Arcade. 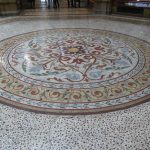 In 1934, the Advocate spoke of the Block Arcade as having ‘an old world atmosphere redolent of craftmanship rather than mass production’. 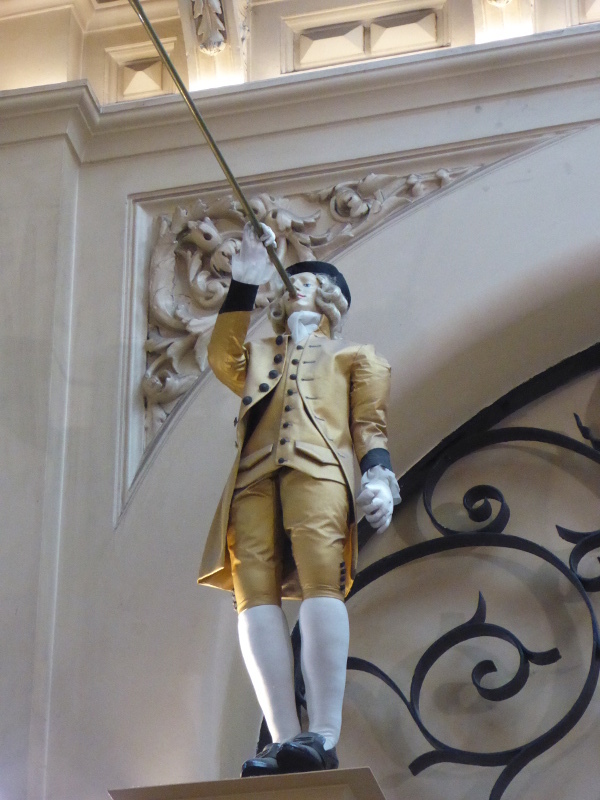 There follows a description of the shops in the Block at the time, including fine clothes for ladies, beauty salons and one I liked, which was master confectioner Vavjeneski, who had been making chocolates and sweets for the crowned heads of Europe. 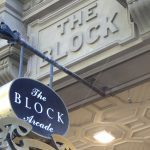 The Block Arcade had a major overhaul and renovation in the late 1980s, I read. I wonder if it was as upmarket before that as it is now. 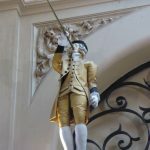 Eugenie van de Leur – The Age described her appearance in court with her sister over the complaint about the Commissioner, or Beadle, of the Arcade: “Two lavishly ornamented young women…of stately carriage and haughty demeanor.” You can almost picture them in a costume drama from the period. The case she brought was that the beadle used ‘insulting words’ against her, which got me wondering what kind of case that might have been? Not a criminal case, surely? Was she looking for damages? What was damaged, if so? Her ‘reputation’? Her dignity? So her story was that she went to the arcade for her sister’s music lesson and caught the lift back down to ground floor afterwards. She claimed the beadle threatened to hit her if she didn’t leave the arcade… He claimed she was ‘hanging round’ the arcade with a gentleman who had been asked to ‘move on’, and that the three of them were blocking access to the lift for others. She alleges he used an insulting word…” You French ***”, but I wonder what was the unprintable slander from 1906 to describe the French? My hunch on reading the case was that the young lady just took a fancy to some young man who frequented the arcade regularly, and liked his company. But she also had a tendency to be snobby towards people she considered of lower class, especially with her aristocratic sounding French name. Anyway the judge dismissed the ‘case’ and forced Eugenie to pay court costs. Four years later in July 1910 were reports of her death at her Mum’s house. The thing is her Mum thought she was married. She had been living with a certain Mr Buckley for four years (and guess what the name of the young man in the arcade was…) and had told her Mum they had married in Sydney. Basically Eugenie walked into her poor mother’s bedroom to say: “I’ve settled myself,” so I assume this meant she had taken something noxious to kill herself. The post mortem said she died of ‘asphyxia and heart and circulatory failure’, with cocaine found in her stomach. What a tragic character. And how sad for live-in lover Mr Buckley. I wonder how he recovered, too? Though there’s a mystery behind him, too, as it came out at the inquest into Gwendoline’s death that he had a pseudonym and had formerly practised as a doctor of ‘women’s diseases’ called Professor Herman. Maybe that is how the two of them met? 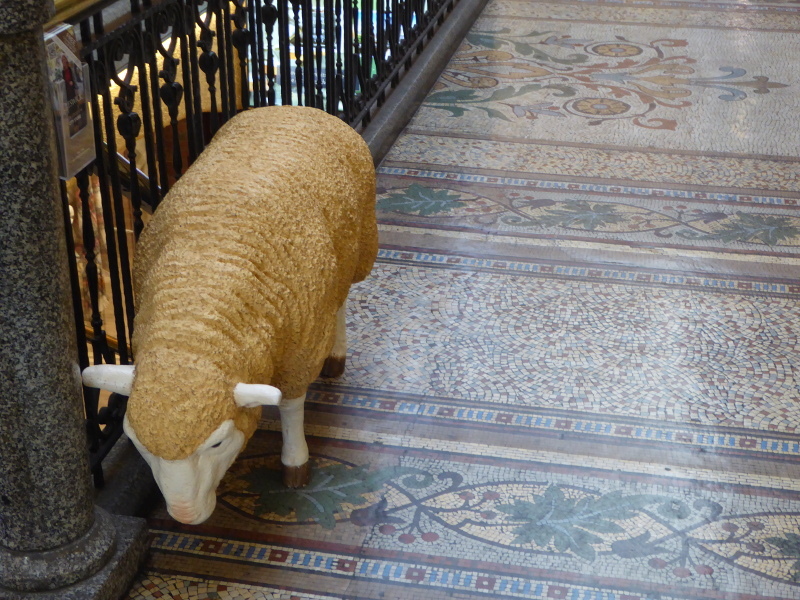 Funnily enough, in the earlier court case referring to the Block Arcade incident, there was some assertion – denied in court – that he was also known as Herman… Quite a double life being led by many, it seems. 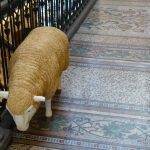 This piece from The Age newspaper has an interview with a retired tour guide who used to run tours of the Block Arcade,. She has some great stories to tell so make sure you click on that link for a real flavour of the arcade’s past. 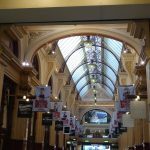 The Melbourne Curious blog post dates back to 2010, with a focus on architecture in the Block Arcade. I liked this photo from the Victoria Museum website showing Kodak occupying a frontal premises in 1908. 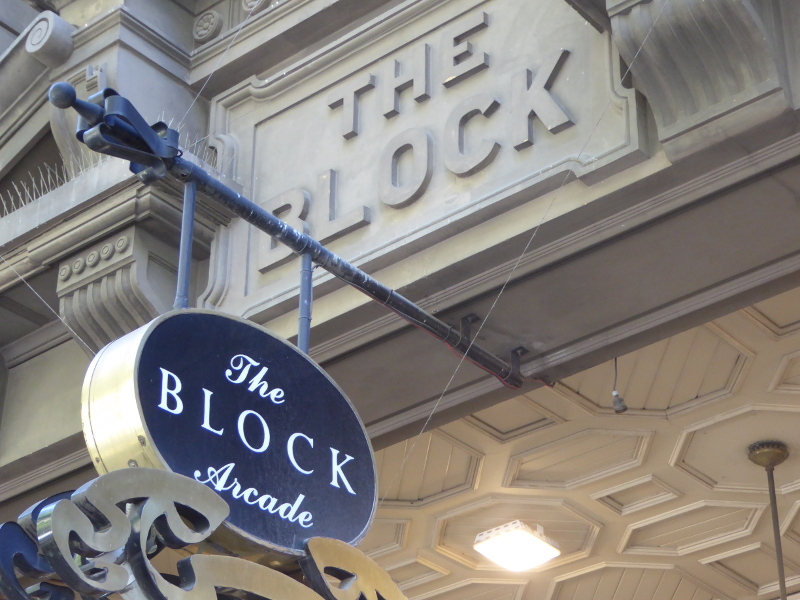 What are your stories and memories of the Block Arcade? 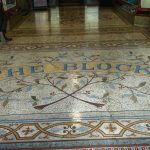 Was the Block Arcade as posh and elegant before its 1980s facelift – anyone remember how it used to be 40 years ago? 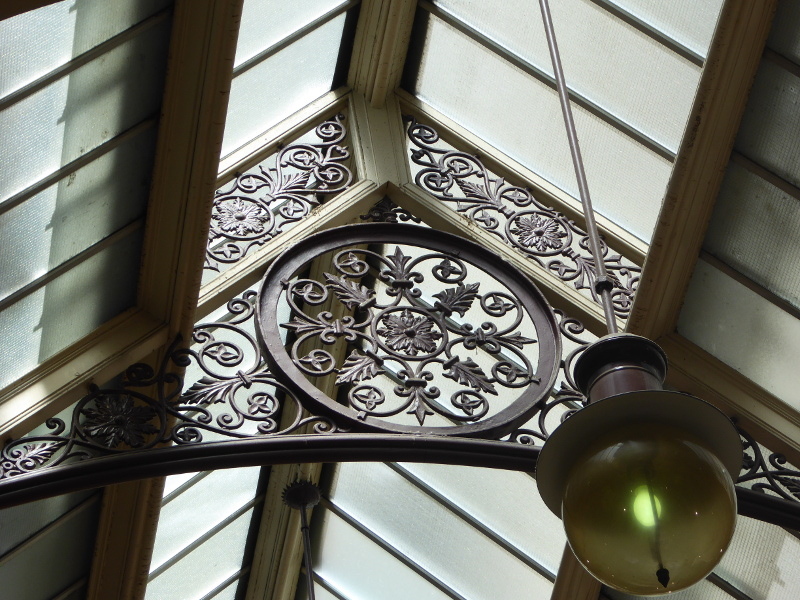 Tea rooms in the arcade? 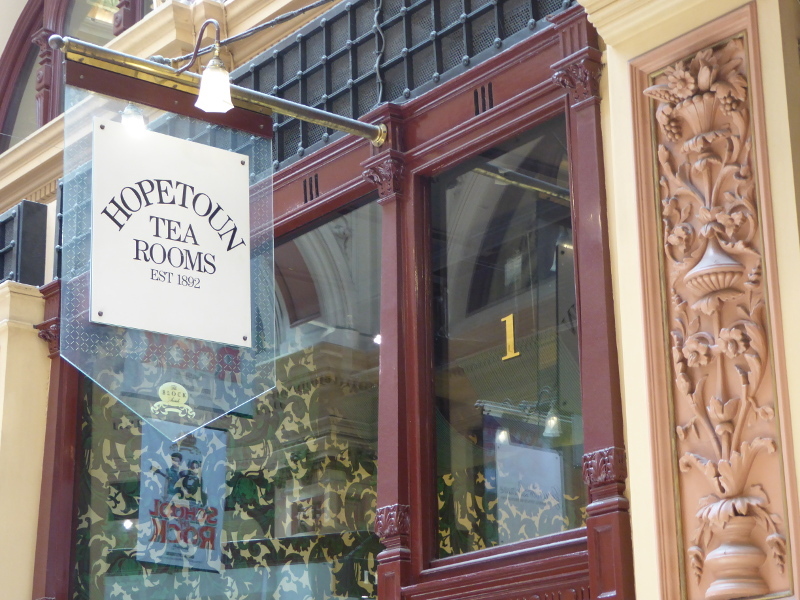 Back in 1894, there were four tea rooms in the Block Arcade, including Hopetoun Tea Rooms, which still serve up fine teas and cakes today. The queue might be long to get in, but it moves fairly fast and this place is worth trying for quality tea to round off an afternoon in the arcade. Classy place.